Find out how the Poporiginalbestflash virus infiltrates Mac computers, how it affects the web browsers, what goals it pursues, and how to remove it from Mac. When garden-variety adware infects a Mac, it’s usually no big deal. To make the annoying ads get out of your way, you simply need to find the misbehaving browser plugin, disable and trash it. When a browser is hit by an aggressive hijacker like Poporiginalbestflash, though, things get out of hand and the fix isn’t trivial. That’s because the culprit employs persistence mechanisms to get around removal attempts. At the end of the day, Safari, Chrome and Firefox on Mac will be iteratively rerouted to the Poporiginalbestflash.icu web page, the domain name typically being prepended with a www2 hostname string. These redirects can reportedly go off when the victim opens a search engine of choice, but they can as well take place all of a sudden in a random, haphazard fashion. Let’s now have a look at what the rogue page says and does, and also why it is a hot topic on Apple security forums as well as other sources. Every time you are forcibly forwarded to www2.poporiginalbestflash.icu, the site launches a pre-loaded script that has a uniform design and displays the exact same warning message to all Mac users. Specifically, it states that the Mac is infected with viruses and other malware. The alert may be more specific than that, emphasizing that the system has 3 viruses on board – 2 malware and 1 phishing/spyware. To enhance the scare, the page estimates the system damage percentage and insists that the victim get down to immediate removal. To top it off, the whole scam takes place under the guise of AppleCare whose logo occupies the left-hand section of the deceptive site. It’s worth mentioning that the Poporiginalbestflash virus might be affiliated with other malicious landing pages, for instance, one that states the user’s Flash player is out of date and recommends installing the latest version. The Poporiginalbestflash Mac infection spreads via bundles. This is a tactic that comes down to the use of multi-layered installation clients obfuscating the malware in a tricky compound app setup. The Mac users who are tempted to download and install freeware from uncertified sites run the most risk in this regard. The booby-trapped solution may appear to streamline the setup process of some benign application while actually pushing the junk alongside it. The most important tip is to opt out of the recommended install mode and choose the custom one instead. This way, you can see what else is inside and, most of the time, deselect the bundled items. Poporiginalbestflash virus removal from Mac isn’t like uninstalling a regular program. Even if you locate the underlying components and move them to trash, the hijacker will re-emerge with its obnoxious browser redirects. Effective cleanup in this scenario is more complicated and presupposes a combo of manual and automatic removal techniques. See below for details. 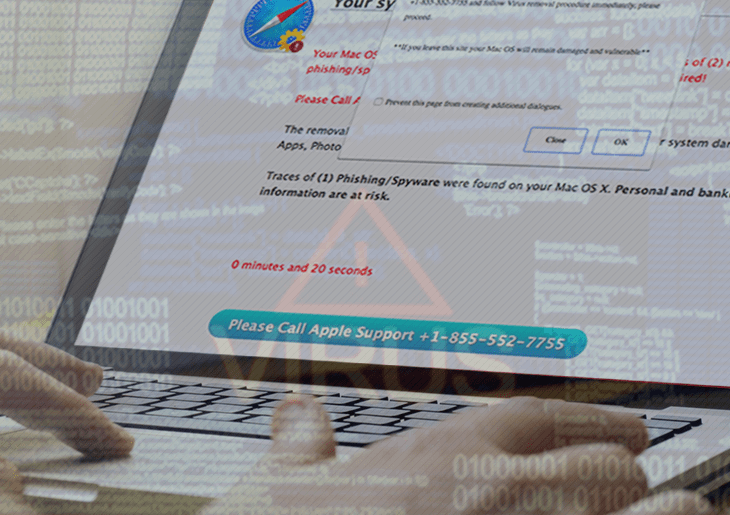 When confronted with malicious code like the Poporiginalbestflash virus on Mac, you can neutralize its toxic impact by leveraging a specially crafted system utility. The Freshmac application (read review) is a perfect match for this purpose as it delivers essential security features along with must-have modules for Mac optimization. This tool cleans unneeded applications and persistent malware in one click. It also protects your privacy by eliminating tracking cookies, frees up disk space, and manages startup apps to decrease boot time. On top of that, it boasts 24/7 tech support. The following steps will walk you through automatic removal of the Poporiginalbestflash infection from Mac. 4. Check whether the Poporiginalbestflash redirect problem has been fixed. If it perseveres, go to the Uninstaller option on Freshmac GUI. Locate an entry that appears suspicious, select it and click Fix Safely button to force-uninstall the unwanted application. 5. Go to Temp and Startup Apps panes on the interface and have all redundant or suspicious items eliminated as well. The Poporiginalbestflash malware shouldn’t be causing any further trouble.